I would like to receive email updates from The Joanne Lesko Group regarding Real Estate in my area(s) of interest. 5F//Winnipeg/SS 4/5 Offers reviewed 4/9 6:00 pm.......Every now and then something exceptional comes along. 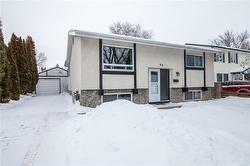 This beautiful home sits on a 70 wide lot which is located on a quiet tree lined street in the highly desirable neighbourhood of Woodhaven. This impressive home offers its new owners the ideal mix of meticulous maintenance and professional polish. The home imbues a sense of calm with its sophisticated palate and tasteful accents carefully curated to enhance the original architectural features. This spacious bungalow features beautifully restored hardwoods, striking cove mouldings, incredible windows that infuse every room with light and an attention to detail seldom found. Stunning cedar fence and gates offer abundant privacy. 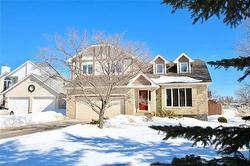 This meticulously maintained custom built home features 4BR's/4Bth's & a massive bonus room/loft. Located on a quiet and private cul-de-sac, great schools, shopping and amenities are mere steps away. 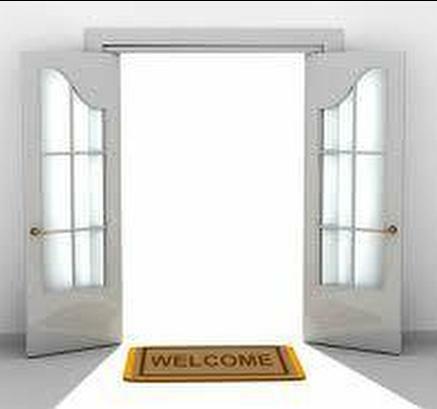 1Aw/ Where do you want your story to begin? This perfectly curated home offers a beautifully designed space located in the unique blend of suburban-urban neighbourhood that only Osborne South has to offer. It boasts an incredible kitchen perfect for entertaining with the coveted sit at island, and direct access to the deck in summer. Easy care solid surface flooring, modern decor paint, updated bath, newer windows, it s the list you have longed for. Truly move in and enjoy and last but certainly not least..... a double garage. 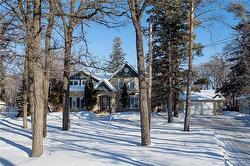 Fabulous & private 2 storey home situated among beautiful natural surroundings. Set back from Roblin Boulevard this fantastic river property features incredible views of Assiniboine River & the St. Charles Golf Course. 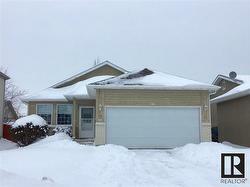 Spacious flr plan w/over 3000 sq ft of bright living space. Formal LR includes lovely oak hwds. DR will seat 12 comfortably. Spacious & stunning renovated cooks kitchen w/plenty of cabinets w/organizers, caesarstone counters, S/S appliances. Very welcoming FR is highlighted by a wood burning FP w/built-in cabinets flanking each side, cozy office, abundance of windows showcasing the lovely views & sliding patio drs to a covered deck...perfect for entertaining. 5F// If you are searching for the perfect family space you will want to add this one to the list. Perfectly located in St. James close to schools, parks, rec centres, 7 Wing air base and some fabulous restaurants and cafes. Situated on a larger than average lot this beautifully updated home offers plenty of space for the growing family. Gleaming hardwoods, fabulous ceramics and modern laminates make day to day maintenance a breeze. 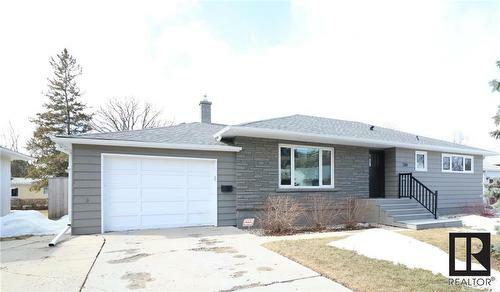 Amazing light filled spacious rooms and beautifully remodelled main floor bath and kitchen are just a few of the reasons to see this home. 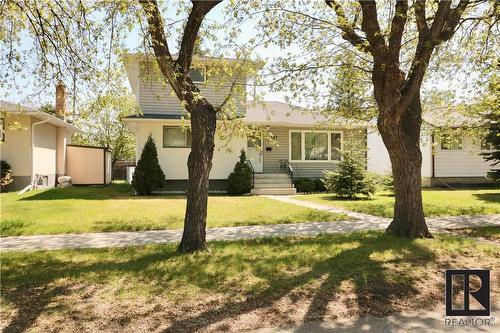 2D//Winnipeg/Searching for the perfect family home? 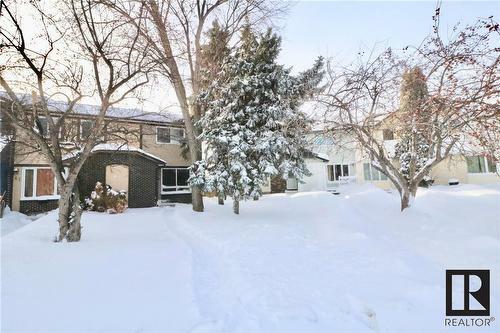 This spacious townhouse is tucked away at the end of Trafford Park and backs onto Norberry-Glenlee CC and play area, yet is steps from transportation and Bishop Grandin. Easy walking distance to schools, a terrific variety of restaurants, coffee shops and all nature of shopping. Featuring an amazing and rare private fenced pie shape lot, generous shed serviced with electricity, and newer deck perfect for BBQ s and sunny afternoons. 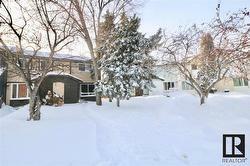 Sunny and spacious rooms, must have main floor powder room plus basement space that allows for further development. Come see all @ 43 Trafford Park has to offer. 1L//Winnipeg If you are searching for the perfect family space in sought after Waverley Heights, you will want to see this one! Light filled and spacious, with a room for everyone and everything. The generous Master bedroom features an updated ensuite with a full size step in shower. 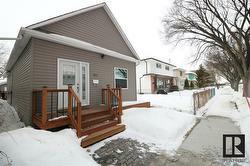 Amazing kitchen, perfect for family life and offering direct access to the deck and yard. The location offers the privacy of green space across the street yet is minutes away from the Stadium, Victoria Hospital, groceries, shops and schools. . You won t want to miss this one! Bright sun-filled rooms, Loads of windows. Laminate flooring, good sized rooms, 4 Bedrooms, 1 1/2 baths. Oak kitchen, fridge, stove and dishwasher included. 4 season Sun-room off dinette area. Rec room, 2 piece bathroom. Storage, Laundry washer and dryer included. HE furnace 2007, central air conditioning. Roof shingles on house 2012. Side drive to oversize garage with door opener.